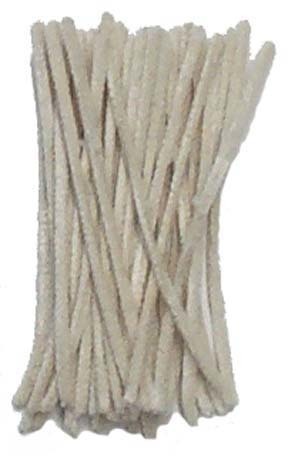 Cotton plush pipe cleaners in a neutral offwhite color. Perfect for small dolls, bases for felted animals and figurines. Lead-free, steel wire cores. 12" long, 3mm width, package of approximately 32.